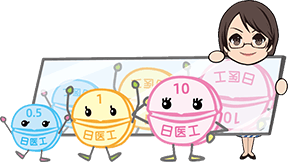 Oral Drugs Design | Nichi-Iko Pharmaceutical Co., Ltd.
Not all Nichi-Iko products are incorporated with the below shown innovative drug designs. For further details, please consult with your pharmacist. 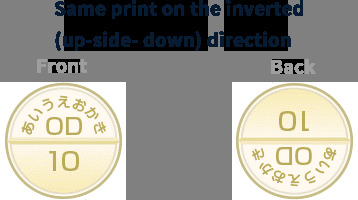 ●We improved ease of drug identification by printing name of the product on each tablet. Even after pushing a tablet out of the package, customer can read the product name printed on the tablet. Print on a tablet was combination of alphabets and numbers (drug code). 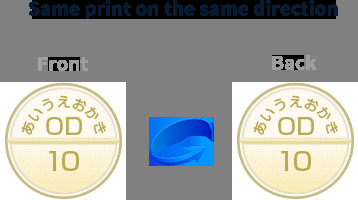 Name of the product is printed on each tablet which makes the product name identifiable on its own. 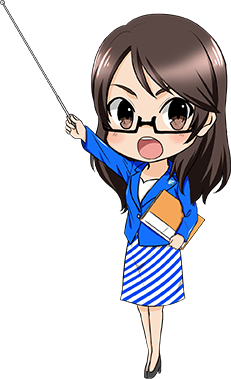 Healthcare providers and patients can confirm the name with Okusuri-Techo (a personal prescription history notebook) or other tools. 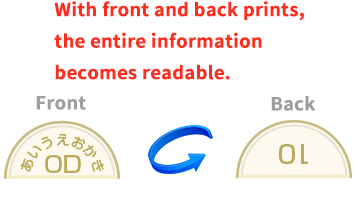 ●To ensure readability and information integrity of print on splittable tablet, information on the front side is inverted (up-side-down) and printed on the back side as well. See the below to learn more. ●For those having difficulties in swallowing down capsules, we develop tablet formulation for the same compound. ●Several tablets of the same compound per administration may potentially become a risk for insufficient/inappropriate administration. We develop a high dose tablet for the same compound to reduce the number of tablets at each administration. ●Our advanced technology developed a unique device designed to push oral jelly formulation out of the container when air pocket is pressed. How to swallow a jelly formulation. Hold the pack straight. Oral jelly part should come to the upper part. Open from the end with cutting slit. Press the air pocket to push oral jelly out of the other end. 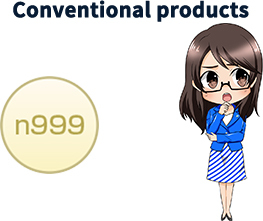 ●Nichi-Iko is prepared with a variety of formulations and devices to meet varied needs of customers. ●OD tablets disintegrates intraorally and do not require a glass of water to administer. 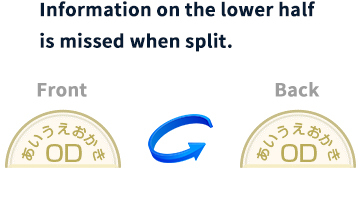 It is easy to dissolve to the water. Some of them have flavor and/or sweeteners added to make them easy to swallow the drugs. ●Chewable tablets are convenient alternatives for small children. It is chewable and does not require water. ●Drugs of once a week/month administration are packed in a specially designed blister sheet with specified blank boxes to write in the start date/day of the administration to prevent patients from forgetting medications.